Our area has seen some very challenging issues recently making it difficult to find fish. Red tide is still present and really has no end in sight as of now. That’s the bad news, the good news is, we can still find fish! I have been fortunate this week to be able to find clean fish-able water that also has bait available. My bait of choice this time of year is pinfish. They can typically be found fairly easily by chumming a grass flat in about 2-3ft of water. 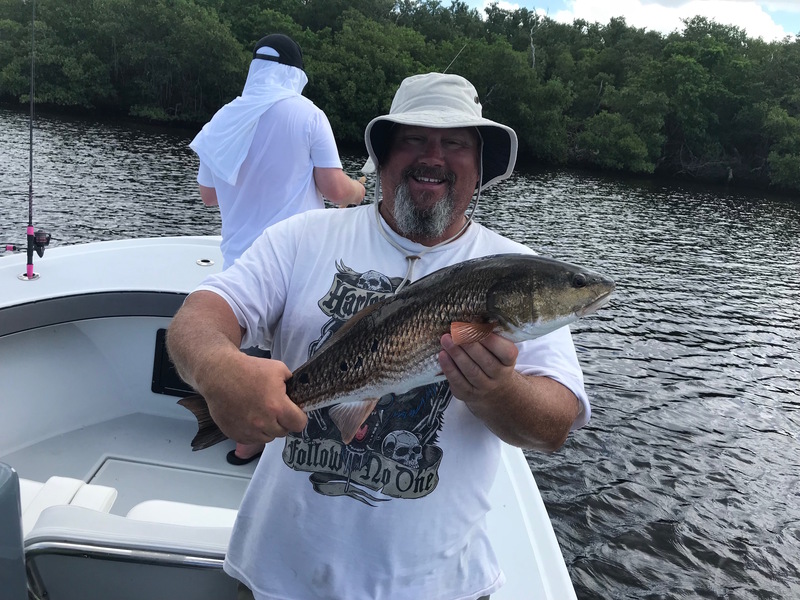 Some of the fish we have caught this week have been Redfish, Snook, Snapper and Jacks. When considering a guide to hire it is important to hire the one that will go the extra mile to put you on fish. That very task was not easy for me lately, having to run eight miles just to find clean water, then back eight miles to pick up clients, then back again to fish the clean area! The “moral of the story” is that if you are willing to put the work in and time there is still fish to be caught and memories to be made!